Mercedes-Benz sets the gold standard when it comes to luxury vehicles. Its sleek style, exceptional performance, and optimum comfort set the car brand apart from other A-class vehicles. Schedule an appointment with Hollenshade’s Auto Service to keep your Mercedes running like new. We use state-of-the-art tools and follow factory specifications to ensure you receive an accurate diagnosis. 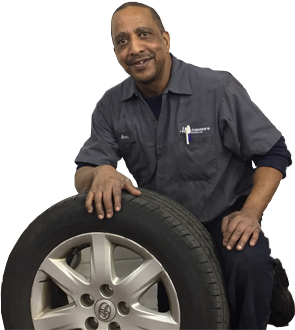 By choosing us, you will benefit from speed, accuracy, transparency, and value from a leading car repair service provider in Towson, Maryland. We are a dealer alternative that completes repairs according to OEM manufacturer specifications. When you take in your Mercedes for a full range of auto maintenance services, we provide the best value in auto repairs. Our team does multi-point inspections, oil and filter replacements, brake fluid changes, engine air filter replacements, battery checks, tire replacements, and more. Don’t ruin afternoon cruises in your car with a malfunctioning HVAC system. Our certified ASE technicians conduct Mercedes-Benz HVAC repairs in Towson, Maryland. We have the proper tools and experience to service your car’s AC system. Our technicians will visually inspect your AC system, evacuate your system’s refrigerant, and recharge your HVAC system. We provide accurate estimates, so you get the most significant value in car repairs. Drivetrain and transmissions play a crucial role in your vehicle’s performance. It transfers power from the transmission to the wheels, giving your car the push to move forward. We conduct Mercedes-Benz drivetrain repairs in Towson, MD. Our experts have the experience and equipment to diagnose your car’s drivetrain problems. We perform clutch repairs, axle shaft replacements, and automatic transmission service and repair. Keep your car’s wheels firmly intact with the ground. Functional steering and suspension system keeps your car stable and prevents it from veering to one side. We conduct Mercedes-Benz suspension and steering inspections to keep your cruises smooth and comfortable. We diagnose problems and complete the repair correctly the first time, so you receive the highest value in car repairs. We are a dealer alternative that has been serving Towson, Maryland since 1939. Fill out our online appointment form today or call 410-828-5750.